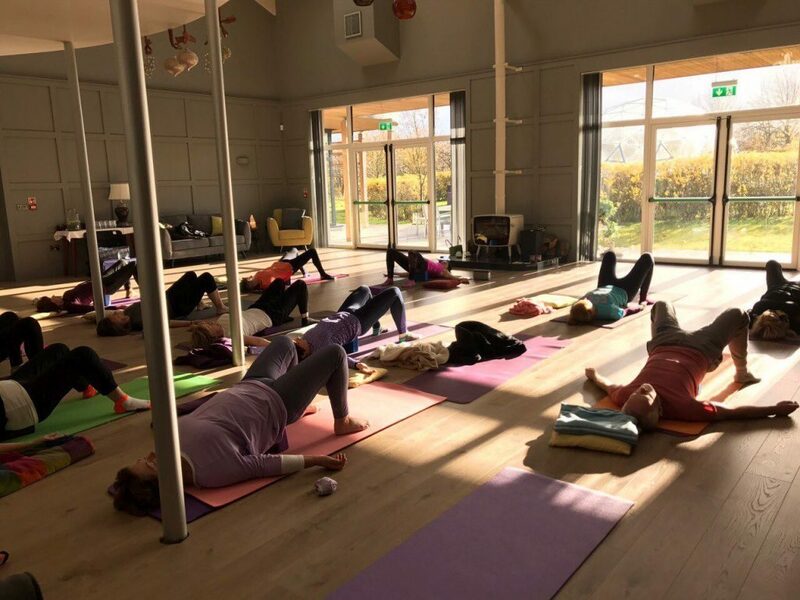 Last year I attended a silent meditation and mindfulness weekend at The Wellwood Centre, a holistic enterprise close to Bagenalstown in County Carlow and just a few miles down the road from Greenside Up. 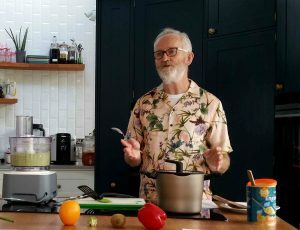 During the past year I’ve been back to visit a few times for acupuncture, iridology, an herbal treatment, as well as attended a couple of vegan cookery courses where health and well-being were paramount but fun and roaring laughter stole the day. The Wellwood Centre is such a pleasure to be in. No matter what time of year, it’s an oasis of calm and tranquility, so much so I’ve been keen to share the story of Pat and Mary Gaynor, the creators and managers of the enterprise, ever since. The Wellwood Centre is set in just over eight acres of landscaped gardens and it’s already caught the eye of local people. 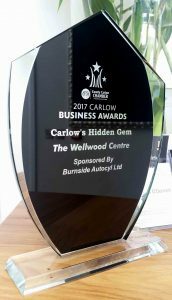 A year after opening the doors of the refurbished warehouse, Pat and Mary picked up the Chamber of Commerce 2017 Carlow’s Hidden Gem Award, placing The Wellwood Centre firmly on the Carlow map. I’m going to jump straight in there. You’re both heading towards an age where most people are thinking about retiring. What made you decide to leave the industrial paint business, return to education and start a new enterprise instead of putting your feet up? Mary: Because we had the place and the privilege to be able to return to education, to pursue careers we loved. 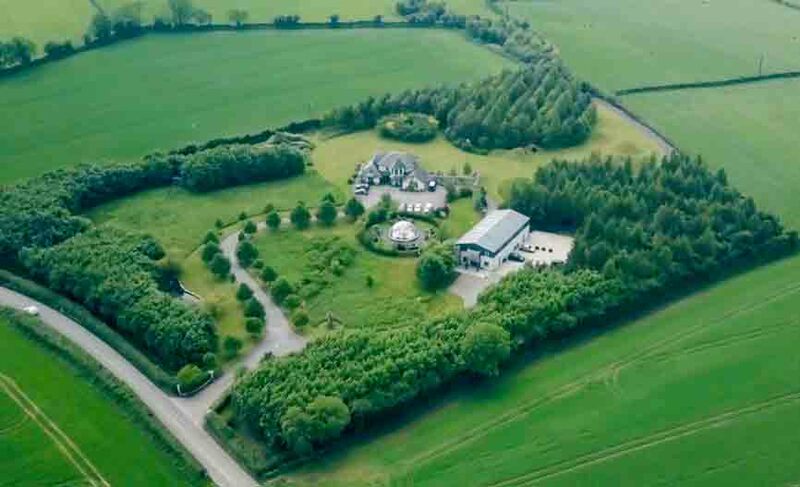 It felt decadent having an eight acre garden with just the two of us here once the original business had moved to Carlow and the kids had grown and moved out. We weren’t ready for retirement, we wanted to extend our working lives but with more chosen careers. The paint business was there to provide a living but it wasn’t really a career that we pursued, it was more something that evolved for us and allowed us to provide for our kids. Once they had moved out, we had the time and we both wanted to learn more. We’ve now handed the paint business over to our children so they can provide for their own families. They’ve moved the business to Carlow which left us free to make-over the empty store. The Wellwood Centre has just passed its first birthday. What courses and workshops have you held so far? Pat and Mary: We’ve held courses in Mindfulness, Yoga, Tai Chi, The Chakra Alexander Technique, Chakra Dance, Teaching Traditional Chinese Medicine (updating your skills for acupuncture) Reiki 1 and 2, Fun Day (soul retreat), garden visits by appointment, corporate days, active retirement groups (drumming day, yoga) and healthy cookery classes. We currently have nine therapists on board, including Karen Comerford, Mary & Pat Gaynor, Deirdre Germaine, Timothy Guidera, Catriona Mulhall, Helena O’ Donnell, Jacinta O’Rourke, Carmen del Pozo. We can offer anything from Acupuncture, Counselling and Psychotherapy, Reiki, Reflexology, Iridology, Aromatherapy Massage, Indian Head Massage, Shiatsu Massage and Thai Healing Massage, Cranial Sacral Therapy, and Herbal Medicine. The Wellwood Centre is such a calm place and both the centre and gardens are beautifully designed. Did you bring in a team of designers and architects in or did you do it yourselves? Mary: We started with a garden architect, Bernadette Doran from Kilmuckeridge. She designed the overview of the garden and told us where to site the house and the (paint) store. The first thing we did was plant 4,000 forestry trees, they were the cheapest and we were able to access a grant for them. Aerial View of The Wellwood Centre. Image Courtesy of The Wellwood Centre. 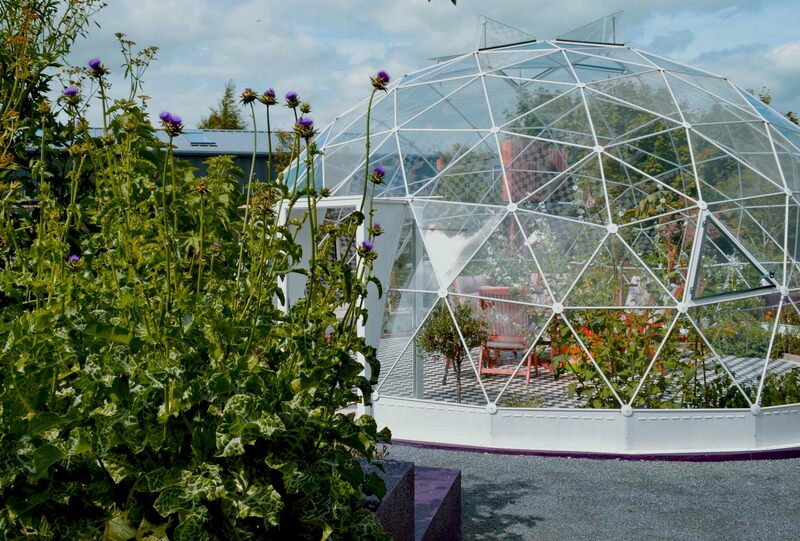 In 2007 Diarmuid Gavin came on board with his “I Want a Garden” series and added Jerry Hall at the back of the house. Jerry helped to screen the new motorway but primarily added a touch of magic to the garden. 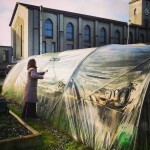 Emer MacDonald designed the old ruin and solar dome garden and of course you Dee, came in and designed the planting plan for the medicinal, tea, aromatherapy and edible herb garden. 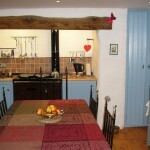 We used an architect for the building change of use, Patrick Weafer and we added all the finishing touches. Who’s the cook in the family? 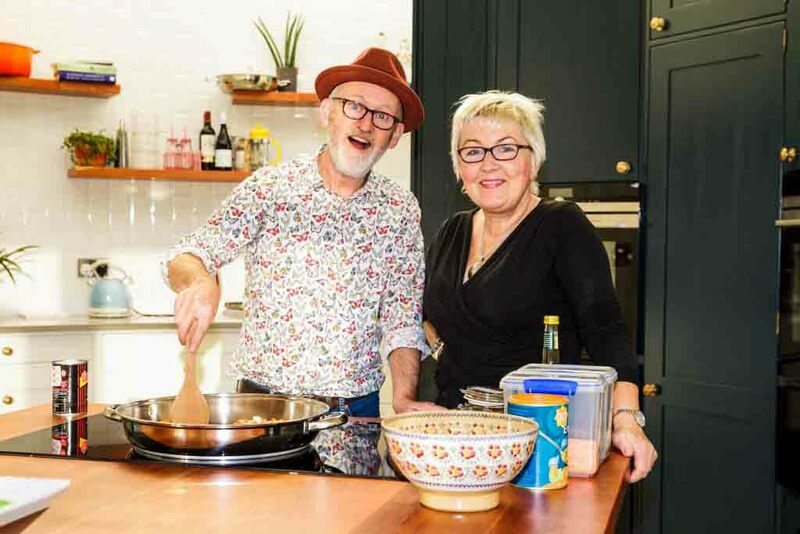 I really enjoyed attending two of your recent vegan cookery classes Pat, both ably assisted by Mary and your son Aaron. Do you follow a vegan diet yourselves? Pat: Mary is an excellent cook but she multi tasks, she hasn’t the patience. Mary: Pat loves cooking and with a bottle of O’Hara’s beer he’s very happy. Pat: We’ve changed our diets over the years, always evolving. We tried vegan for a while and are now introducing a little bit of meat and oily fish as we can see the benefits. We’ve reduced our meat considerably over the years, and are now balancing it. I add meat to flavour the dish rather than to be the main component. Pat, it was an absolute pleasure to be involved in the design of your herb garden. Have you always had an interest in herbalism? Pretty much. 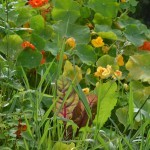 I was into wild plants and had a collection in my late teens and early twenties. The interest was reinvigorated after I attended an acupuncture course. I realised that acupuncture and herbs were a good combination so undertook a four-year course and now have a Licentiate in Master Herbalism from the Irish School of Herbal Medicine. 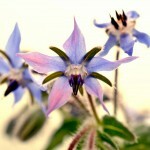 I became interested in Western plants rather than Chinese: local plants for local problems, though they can cross over. For instance, Horny Goat Herb is a Chinese herbal remedy that can be used for erectile dysfunction. Mary, I know you’ve recently qualified as a psychotherapist after studying for four years. Do you specialise in certain areas? In this area of work, Psychotherapists are often referred to as ‘the wounded healers’ and I suppose the issues surrounding adoption and the ever unfolding horrors of Mother & Baby Home’s and the fallout from that, is close to my heart. However, I work with what is presented to me, bereavement and loss, anxiety and depression, relationship problems as well as stress which seems to be endemic at the moment. I am an Humanistic & Integrative psychotherapist, working according to the ethics of IAHIP, but I also incorporate mindfulness and CBT techniques as there is a big demand for both. You’re very much a husband and wife team. Any tips for the rest of us in making that work? Pat: We challenge each other all the time but don’t take anything personally. Men, go sort out that cave! Get out of it, and start talking to one another. It’s not easy, we have to keep working at it. There’s a great book that sums it all up: Men are from Mars, Women are from Venus, it’s so true! Oh and of course, Mary thinks she’s always right (she always fecking is). What’s next for the Wellwood Centre? Pat and Mary: We will keep developing it, adding more courses. Karen is relatively new to The Wellwood Centre and she works with chronic pain as well as with exam students and their parents who are suffering stress during the study time. Mindfulness is used as part of the tool kit in stress reduction and for chronic pain. We have some new massage therapists with fantastic background training. Carmen gives Shiatsu massage, but also specialises in Japanese facial lifting techniques and she teaches you how to continue this at home. Forget the Botox and experience this! It’s amazing. Mary and Helena are busy and really enjoying the psychotherapy. Pat is writing a dissertation on natural ways to help fertility which includes acupuncture, herbal medicine and diet. Currently it feels like we’re crashing a nut with a sledgehammer in trying to deal with fertility issues. 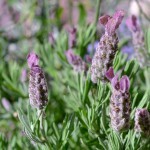 However, in herbal medicine, small changes can have a big effect without major ramifications. For instance, from a traditional Chinese perspective, the biggest reason for low fertility is a cold uterus, so just working on that can help. Swapping from salads to hot foods, wearing more clothes will help to warm up the body and hence the reproductive system. We’ve started to offer alternative healthy hen parties, as well and we are able to design health and well-being packages to suit. 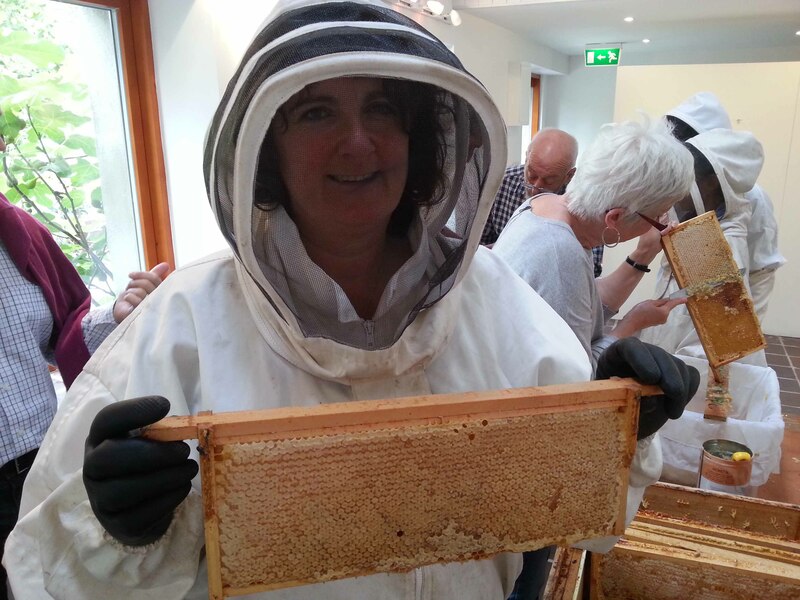 The studio in the centre is open for AirBnB guests and the recent Charity garden open day was so successful for the Carlow Homecare Team that we plan to offer more of those. The gardens are open by prior arrangement and are free for people to wander around if they’re using the centre for treatments. You can find out more about The Wellwood Centre on their website, or keep an eye out on the Facebook page for updates on events and courses. Maybe I’ll see you there! Celebrating the Ordinary ~ Supermarkets!